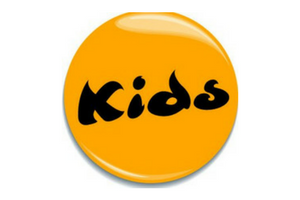 KIDS is a charity with strong ties to Yorkshire and Lincolnshire so we are pleased to be working with the Hull branch to help local parents and their disabled children. They provide practical support and advice to address the physical and emotional challenges around disability through services which focus on play, leisure, education and family support. Every £1000 they raise funds another child’s place at one of their groups, so the sponsorship raised by fundraising events like charity skydives really helps.KIDS Yorkshire & Humber have been working with disabled children and their families in Hull since 1988. 2018 is their 30 Year Anniversary so why not do something special to celebrate this by taking the plunge and signing up for our Skydive? “The charity has done so much for my immediate and extended family, as well as helping many of our friends. I signed up to complete a range of challenges in 2017/2018 for KIDS and in June 2017 I completed the Tandem Skydive. KIDS ask you raise a minimum amount of £400 in sponsorship. This covers the deposit and cost of the skydive and a minimum donation to the charity. Every extra penny over this amount also goes to the charity to try and raise as much as you possibly can. Just contact Claire Crosbie at KIDS to book your place. Sponsorship forms will be provided on receipt of your registration form and deposit.